Posted on July 2, 2015 by John MeunierPosted in Evangelism, Faith, JesusTagged Christianity, Evangelism, faith, Jesus. John, thank you for your post. You write well. I am in the middle of trying to reach out to my middle brother who just three weeks ago lost his wife of 26 years. A senseless, and tragic car accident took her while my brother and she were on vacation. Our family is strong and surrounding him at this time. Their two college-aged children are soon to return back to school. An additional brother, my youngest and I are strong believers, my youngest brother an ordained minister. We both seek to reach out to our middle brother who at this time is mourning the loss of his dear wife and companion. Reading your post assured me that in time, this tragedy, much like the corn of wheat that has fallen to the ground, will produce fruit. Again, thank you for the post. God bless you and keep you. Thank you for taking time to write. As someone who ministers to people who play RPGs, I can tell you there is brokenness and pain in those communities. Many see themselves as hurting and broken while finding those games as a respite from the difficult times. Part of our calling is to be present within communities of people that we might be available to them during their times of poverty and pain. This is why we, as pastors, are not called to a congregation but to a community. It is only in the context of community that we can be present when those needs arise. 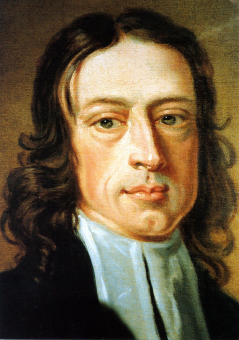 Wesley was able to speak to the “plain people” because he was consistent in his ministry to them. They saw him time and again and this opened the doors for those words of grace and healing. Thanks, Derek. I hope you heard no condemnation of RPGs in my post. I myself have played those for many years as well as miniature wargames.